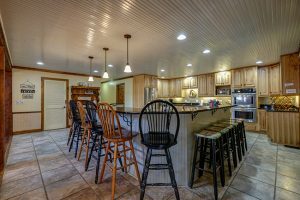 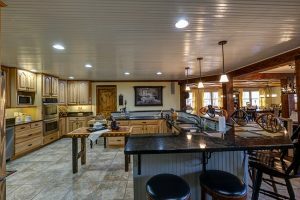 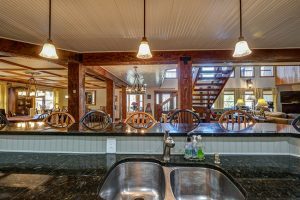 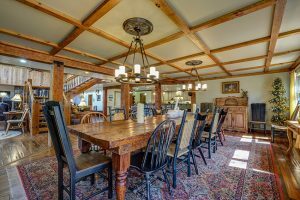 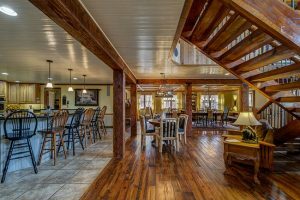 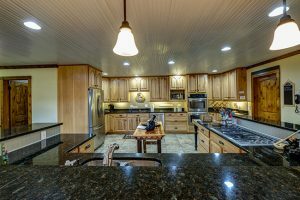 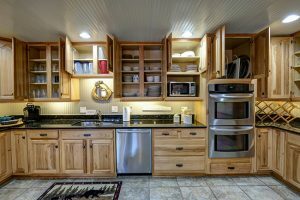 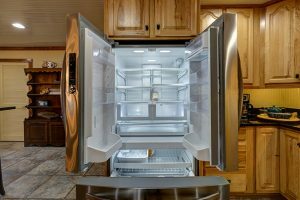 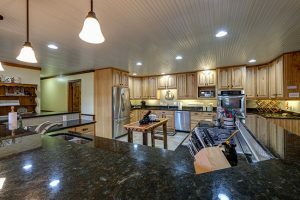 The large gourmet kitchen is sure to be the site of some great culinary creations for your North Georgia corporate retreat(s), family reunion or church group vacation. 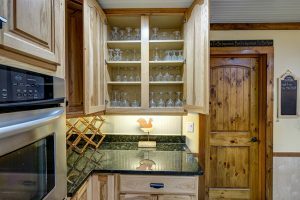 LBL’s kitchen includes 2 full-size dishwashers, 2 full-size double sinks, double convection ovens, 5-eye cook top stove (gas), 2 refrigerators, a standing freezer, and seating for 12-14 around the granite bar. 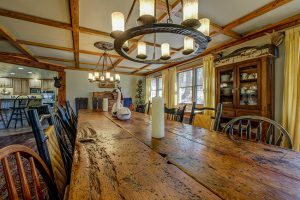 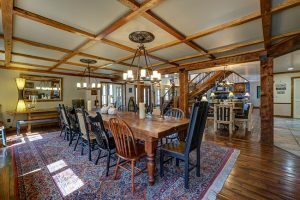 And when you’re savoring those homemade flavors, enjoy your meal on a custom made, 14-ft- farm table constructed with 200 year-old antique heart-of-pine.